Elevated between 4265 ft and 10925 ft, the Ski Resort is among the 3 highest elevated Ski Resorts in Switzerland. The vertical drop from summit to base is 6660 ft. The average difference in altitude between base and summit of Ski Resorts in Switzerland is 2890 ft. Most runs are therefore relatively long. 4 Vallees is among the 10 best rated Ski Resorts in the Valais. Season starts on Nov 2 and ends on Apr 28 (177 days). Average season duration in Switzerland is 112 days. Average snow depth during the season (Nov 2 to Apr 28) is 83 " at summit elevation and 7 " at base elevation. Snow coverage is usually best during March, offering an average snow depth of 112 " at summit elevation and 7 " at the base. Therefore 4 Vallees is among the 10 ski Resorts with best snow conditions in the Valais. 4 Vallees features 88 sunny days on average per season. The average for all ski Resorts in Switzerland is 75 sunny days. April is the sunniest month with an average of 22 sunny days. This makes the ski resort one of the 10 sunniest in Switzerland. 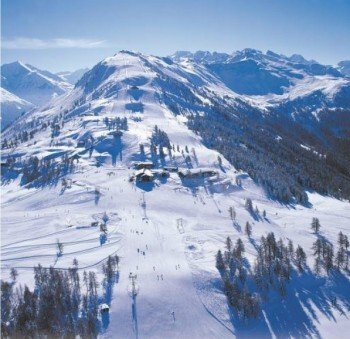 Offering 256 miles of slopes and terrain, 4 Vallees is among the 3 largest Ski Resorts in Switzerland. Numerous downhill runs are served by the Veysonnaz gondola. Known as one of the most exclusive ski resorts in the world, Verbier is the main resort in Switzerland's largest ski area called 4 Vallées. Combining a sunny, scenic location with exciting terrain and a truely lively nightlife, 4 Vallées has long attracted a youthful clientele. Over 400km of runs are accessed by nearly 100 lifts around the Swiss resorts of Bruson, Verbier, La Tzoumaz, Nendaz, Veysonnaz, and Thyon. Thanks to the ski area's high altitude and its extensive snowmaking, abundant snow is guaranteed. What's more is the spectacular scenery with views reaching as far as the Matterhorn and Mont Blanc. Offering a challenging high-altitude terrain, 4 Vallées and especially Verbier is best for intermediate skiing and experts, but also great for beginners, as each of the valleys has its own ski school teaching both the young and old old how to ski or snowboard. Verbier's challenging terrain has given rise to thrilling spectator events, such as Xtreme Verbier, the finals of the Freeride World Tour. The Thyon area offers enough terrain to satisfy all ability levels. While the two designated blacks from Ethérolla are perfect for experienced skiers, beginners are well served in the lower part of the mountain. Moreover, advanced skiers have fun exploring four red marked slopes here. Veysonnaz is another great starting point for advanced skiers. Beginners should avoid this area, as there are no designated blues to ski, and should go explore La Tzoumaz. Another two black diamond runs exist at Greppon Blanc (Veysonnaz), which boasts challenges for skiers on the more experienced side. Starting your ski experience at Nendaz, there are designated blue and red runs in the lower area. Experts should head up the mountain to the black diamond run Prarion. It's worthwile! From Verbier, advanced skiers and snowboarders reach the Col des Gentianes at 2,950 metres above sea level. From here you will not only enjoy a unique view, but also have access to the red-marked descent to La Chaux. From Mont Gélé (3,025m) there are steeper itineraries, while the top of Mont Fort (3,330m) offers a black mogul run on the front and adventurous off-piste routes on the back. 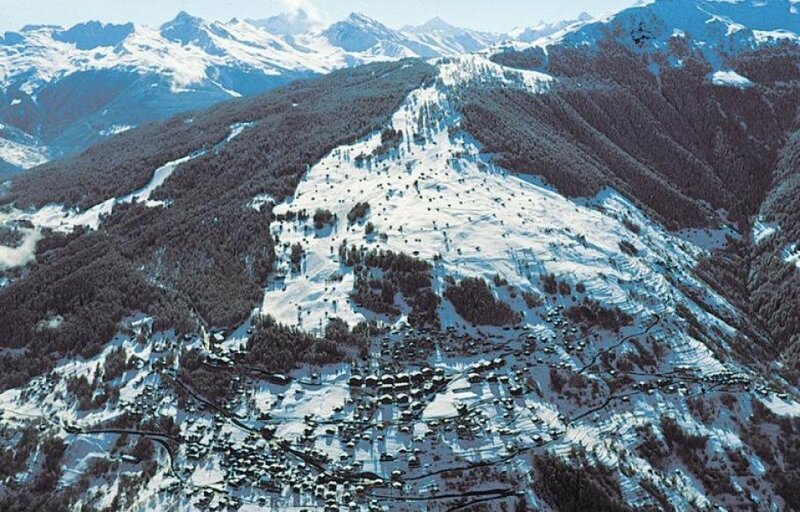 From Verbier you can also take a gondola lift to Le Chable, from where you can access the pistes of Bruson. Freestyle skiers find three terrain parks at 4 Vallées: Centralpark in Thyon offers features for novices, intermediate and expert skiers. and is therefore suitable for all levels. A whopping 33 elements just wait for you to check them out. You may also want to let off steam at Nendaz. The features at Woodpark are purely made of tree trunks, branches, tables and benches. Epix highlights at Verbier's terrain park near Chalet Carlsberg are two big airbags - one for adults and one for children. Whatever you are waiting for: These terrain parks ensure you to get the adrenaline fix you crave for. 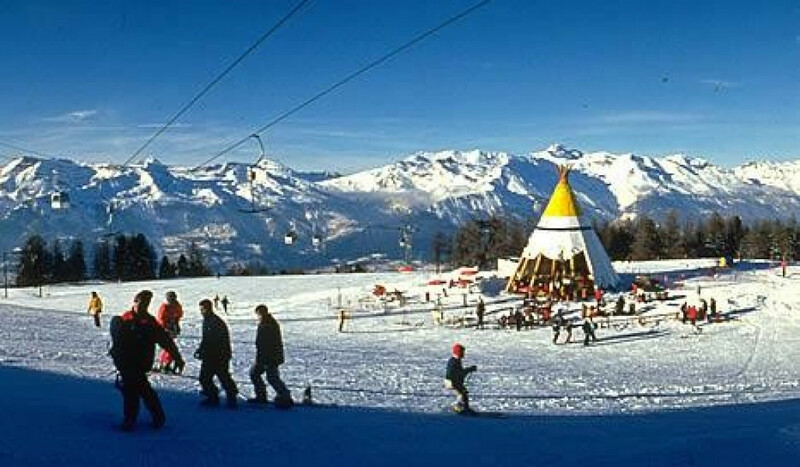 View of Thyon's snow bar Le Tipi. In Thyon, a stop at the Café-Restaurant Mont-Rouge next to the Veysonnaz lift at an altitude of 2,000 metres is worthwhile. The giant sun deck offers unique views of the Rhone valley. In Nendaz, head to Tracouet, located at the top station of the gondola of the same name. The self-service restaurant offers plenty of space and a cosy terrace. The Croix de Coeur offers regional specialities in La Tzoumaz. Steaks and meat from the hot stone, Valais plates, polenta, roesti and soups are served here. You may not want to miss out on the homemade apple strudel. Grab your food and head outside: The sun deck offers spectacular views of Mont Blanc and the Bernese Alps. Foodies meet at Chalet Carlsberg at Attelas run. Here you can enjoy beef tartare, hot stone meat and regional specialties. - The restaurants mentioned here are only a small selection of the numerous options at 4 Vallées. Tons of cosy mountain restaurants and huts invite you here to enjoy an extended lunch break. Epic highlights are the 900m-vertical route from Col des Gentianes to Tortin and the black moful run on the front reached from the top of Mont Fort (3,330m), which is fantastic for experts. The adventurous off-piste route (8km) on the back of Mont Fort ends down in Siviez and is also highly recommended. 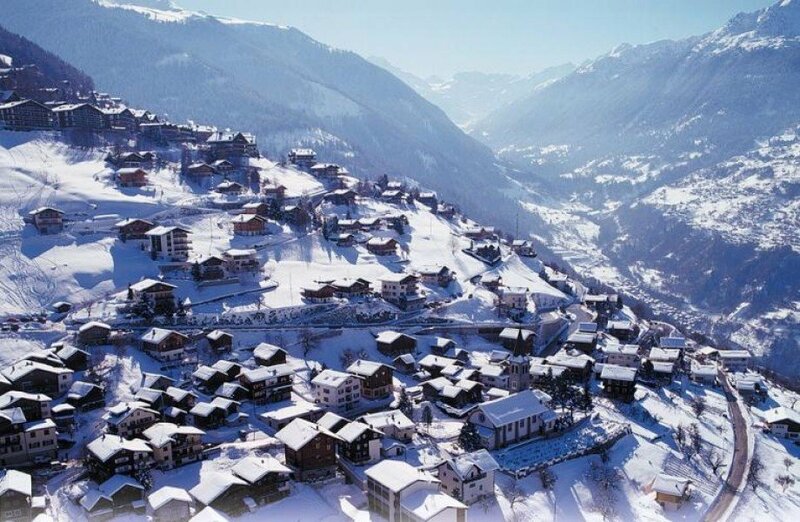 The five towns of Verbier, La Tzoumaz, Nendaz, Veysonnaz and Thyon offer plenty of alternatives to skiing to keep both the blood circulating and everyone feeling good. 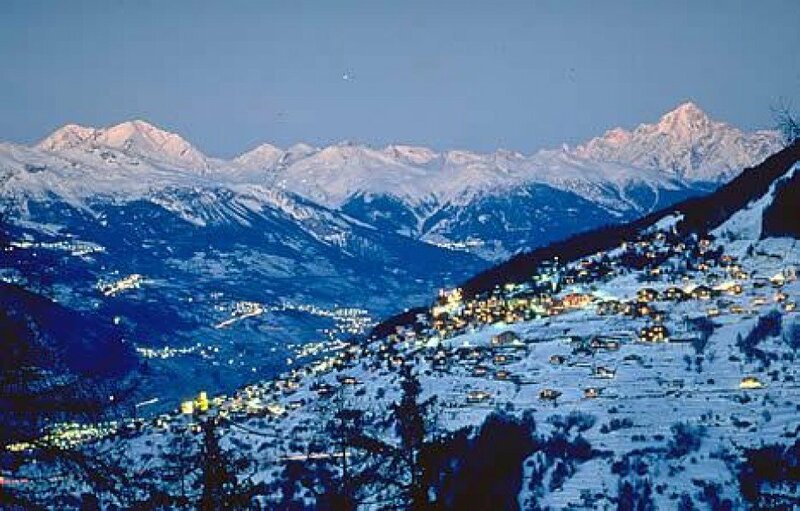 The most famous destination of the 4 Vallées is Verbier, which is situated on a sunny plateau in the middle of the mountains. The mountain village is characterized by cosy chalets and modern bars and restaurants such as Le Fer à Cheval or the Mont-Fort Pub, plus a generous allocation of lounges, cafés and other public spaces. La Tzoumaz is situated directly above the Rhone Valley and is an ideal starting point for snowshoe hikers. Everyone who is still in need of their adrenaline fix should head to the 10km toboggan run, being the longest one in western Switzerland. Nendaz offers quick access to the Mont-Fort and its freeride trails, making it a popular spot for freeriders. There are also numerous bars and restaurants worth checking out. Veysonnaz offers an average of around 300 sunny days a year. From here you have a unique view of the Rhone Valley. Typical chalets, restaurants and the friendliest citizens ever await you in the old mountain village. Thyon, on the other hand, offers unique views of the Val d' Hérens, the Matterhorn and the Grande Dixence dam. In the La Tzoumaz area, après-ski fans usually get together at Bar des Etablons, where snacks and a drink or two are served. An absolute highlight is the Igloo du Mont-Fort, Europe's highest Igloo bar at an altitude of 3,300 metres. Here you can have a coffee break or enjoy some drinks and a small snack. In addition, it offers a panoramic view of the Jungfrau, the Matterhorn, the Mont Blanc and more than 100 other peaks. Those who like Pub Mont Fort, the Offshore Café or Fer à Cheval are popular among après-ski enthusiasts in Verbier. Live music is offered every day at the Farinet and in Le Rouge, you'll find a DJ ensuring a great atmosphere. 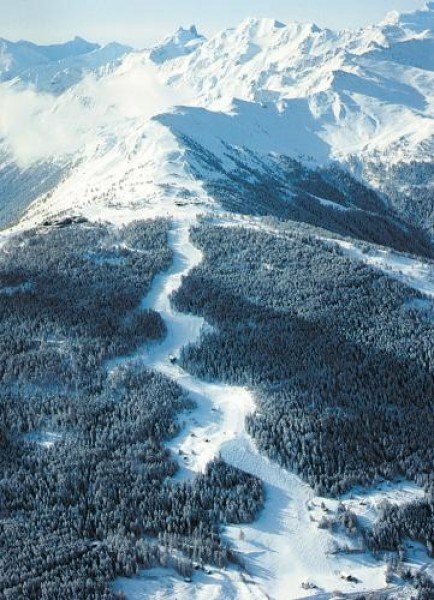 The easiest way to reach the ski resorts of Les 4 Vallées is to take the A9 motorway through the Rhone Valley. To get to Veysonnaz it is best to take the exit Sion-Ouest, for La Tzoumaz take the exit Riddes and in order to get to Nendaz take the exit Vétroz. If you are arriving from Italy, take the A5 Turin-Aosta motorway and exit at Aosta Est.